"There is tremendous energy and focus within the Democratic caucus - not only to resist Donald Trump and his cruel, draconian policies but to tackle a bold, progressive agenda that will generate real progress for the communities we represent," Pressley said in a statement Monday. Pressley's statement establishes a clear divide in the Massachusetts federal delegation. 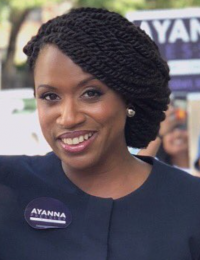 U.S. Reps. Seth Moulton and Stephen Lynch expressed opposition to Pelosi's selection, while U.S. Reps. Katherine Clark, Bill Keating, Jim McGovern, Richard Neal, Joe Kennedy III, and now incoming congresswomen Lori Trahan and Pressley are supporting her. U.S. Rep. Richard Neal, of Springfield, is expected to become chairman of the Ways and Means Committee. U.S. Rep. Jim McGovern, representing Massachusetts' 2nd Congressional District, is poised to lead the House Rules Committee. Clark will be seeking the party's Vice Chair position. Pressley said in Monday's release that she would be supporting U.S. Rep. Barbara Lee for Caucus Chair and Clark for Vice Chair. "Who is in a formal leadership role matters, and these women have a strong progressive track record, but this 116th Congress will be defined by more than who holds a title," Pressley said. The councillor at-large was still considering her options in a conversation with the Reporter before the Thanksgiving weekend.